Never ask about the rules. If unsure what is happening, just shout ‘THAT’S A KNOCK ON’ or ‘THIS REF IS A JOKE’ and you’ll be greeted with approving nods. Do not discuss rugby players thighs, your male friends do not care that their legs could single handedly kill an elephant. If you have to discuss matters other than rugby, only mention them once the full 80 minutes has been played. Heat the oven to 180 degrees and line a cupcake tin with 12 cases. 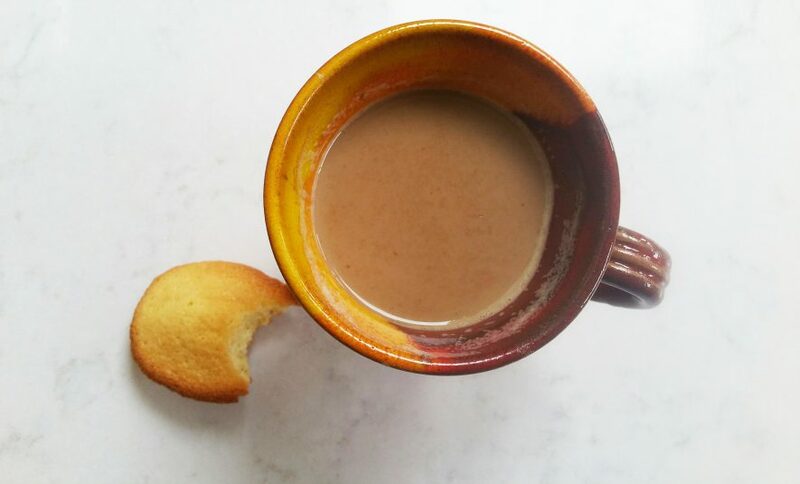 Place the butter and sugar into a bowl and beat until light and fluffy. Gradually add the eggs until fully incorporated. Fold in the flour and cocoa powder, until well mixed. Spoon a dessertspoon of batter into each cupcake case and bake for 15-20 minutes until lightly golden. For the buttercream, beat the softened butter with the icing sugar (you may need to add a dash of boiling water to loosen the mixture). Once fluffy, add a few drops of green food colouring until you reach your preferred ‘grass’ colour. Pipe or spread the icing onto each cupcake. 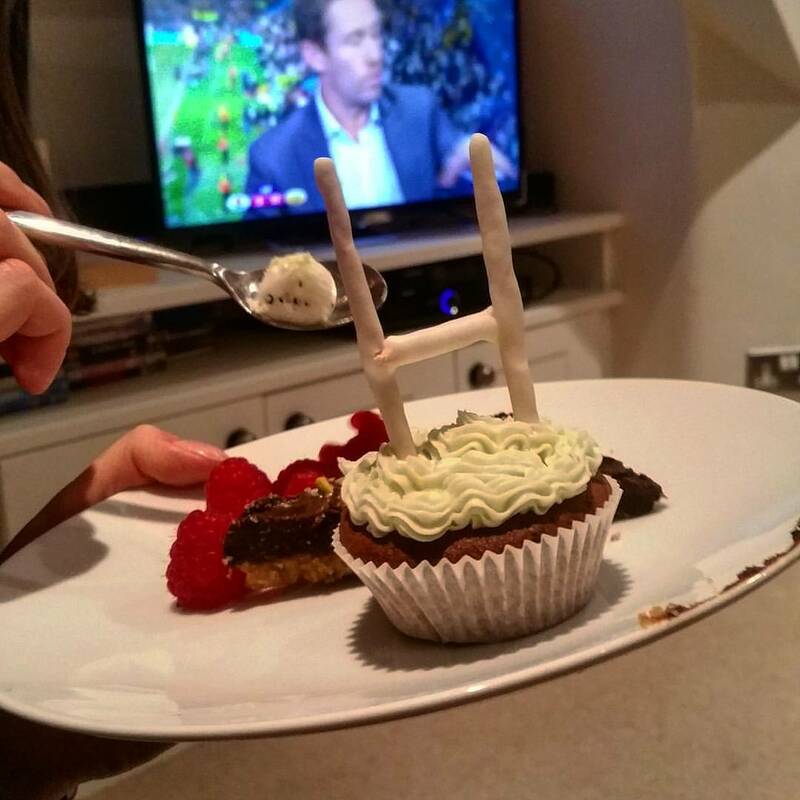 For the rugby balls, roll a small ball of white sugar paste icing in the balls of your hand to form an oval shape. Score the top and sides with a knife in small dash like formations (———- ) Once you have covered the rugby ball, dip a cocktail stick in black food colouring and go over the scored icing. This creates a stitching effect. 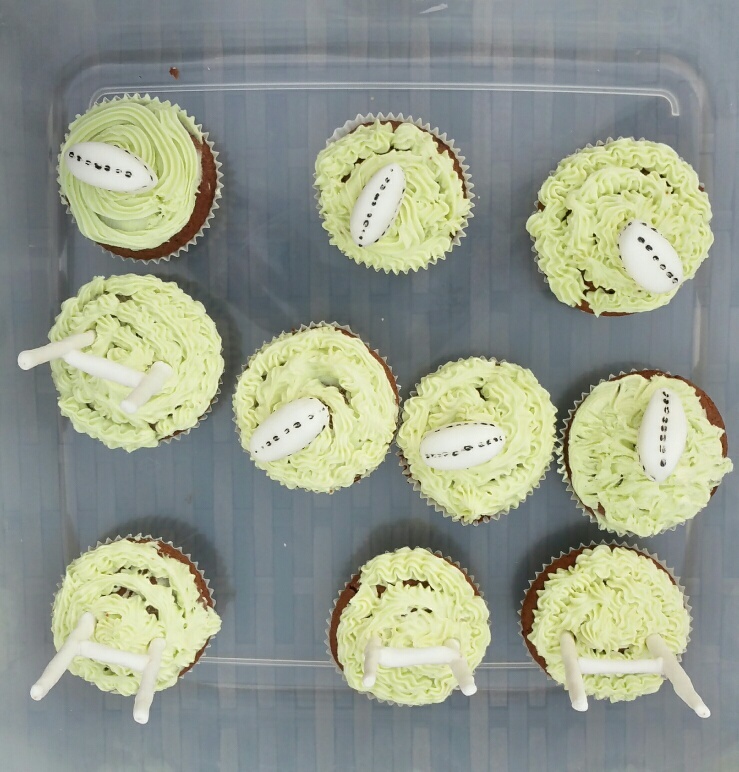 Once you’re happy, glue your rugby ball onto your cake (if you don’t have edible glue just use a bit of left over buttercream). 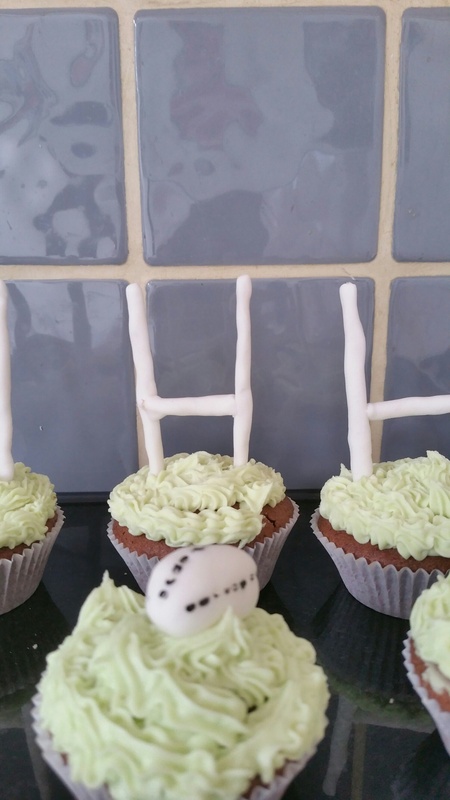 For the rugby posts roll out a thin strip of white icing. Place a cocktail stick in the middle and wrap the icing around it. The easiest thing to do is to pinch the icing around the sticks. Once completely covered repeat this step until you have numerous sticks covered in icing. For the middle bar of the post, cut a cocktail stick in half and cover with icing as you have done previously. Take two of the longer covered cocktail sticks and lie them side by side with a small gap. Take the smaller covered stick and glue three quarters of the way down the larger sticks. Leave to dry before inserting into the cake. Directions for use: Moral of the story? Essentially, be quiet and eat cake.